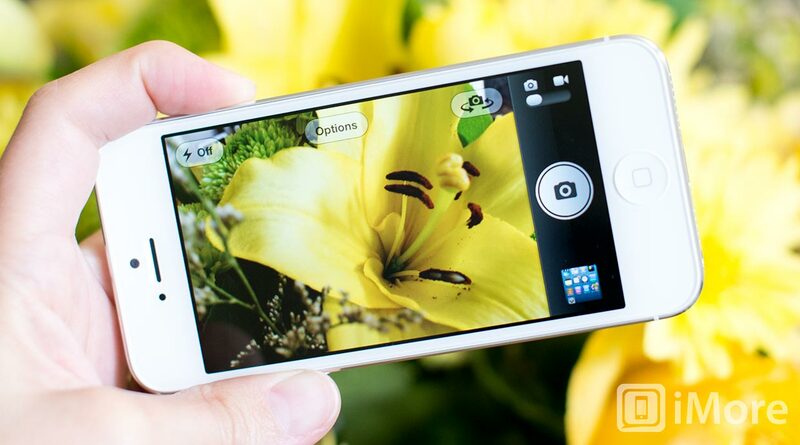 New to the iPhone, iPod touch, iPad, or iPad and need a little help getting started? Whether you're trying to set up your device for the first time, or figure out Apple features like iCloud, Siri, iMessage, Notification Center, or FaceTime, or simply get a handle on the basics like mail, calendar, or photography, we have a help guide for you -- an ultimate guide! 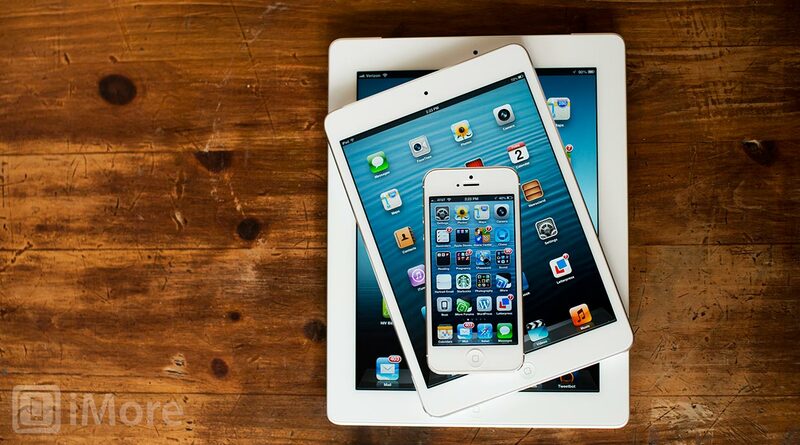 And if you already know everything there is to know about iOS devices, no worries! Just save this link for family, friends, co-workers, classmates, or anyone else who might need some help. We'll do the heavy lifting so you don't have to. We'll also be updating this page with more ultimate guides, so bookmark it and check back often! iCloud is Apple's online service designed to make managing your iPhone, iPod touch, iPad, and Apple TV, and your iTunes content easier and more automatic than ever. Like the name implies, iCloud is based in the "cloud", which is a trendy way of saying giant data centers filled with servers that you can access from your device over Wi-Fi or 3G/4G internet, wherever you are, whenever you want. It consists of several services that work with the apps on your iPhone, iPod touch, and iPad, and with iTunes and a handful of desktop apps on Mac and Windows. Most iCloud services are completely free, although additional storage and services are available for purchase. 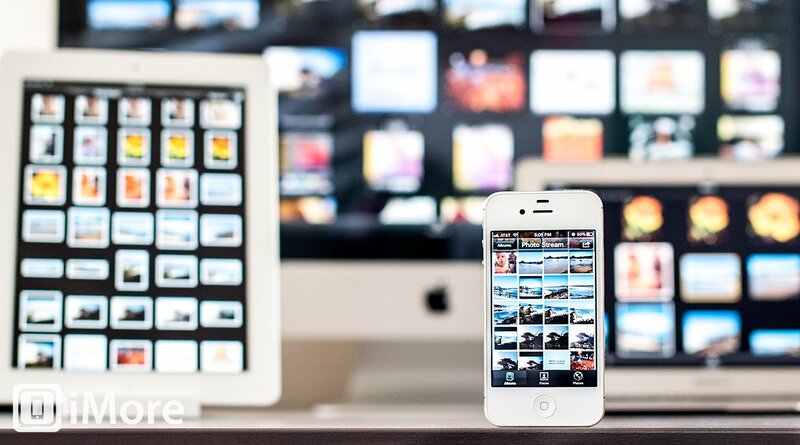 Because the vast majority of iCloud services are free, and because they work automatically and transparently in the background to backup your data and give you access to your content, you should absolutely use it. Siri is the name of Apple's personal digital assistant. It's basically voice control that talks back to you, that understands relationships and context, and with a personality straight out of Pixar. Ask Siri questions, or ask Siri to do things for you, just like you would ask a real assistant, and Siri will help keep you connected, informed, in the right place, and on time. You can even use Siri's built in Dictation feature to enter text almost everywhere by simply using your voice. Notification Center is Apple's attempt to bring order and sanity to the myriad alarms, alerts, messages, calls, announcements, and challenges that flood our iPhones, iPods, and iPads every day. With Notification Center, you can choose on an app-by-app basis between unobtrusive banners, un-ignorable popups, and between beeps, buzzes, or nothing at all. You can badge your icons so you know how many items you have pending, and you can have everything listed for you right on your Lock screen, so you know about it immediately, or whenever you're ready. When too many notifications become interruptions, you can set a timer or flip a switch and silence it all for as little or as long as you want. 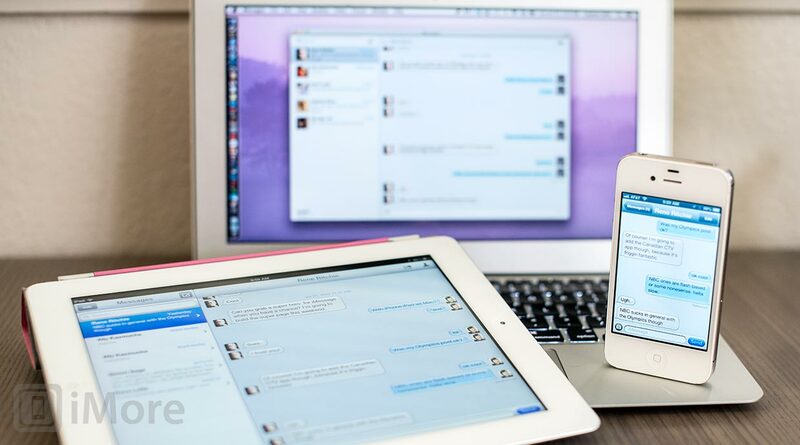 iMessage works in parallel with SMS and MMS on the iPhone, and brings the same type of messaging functionality to the iPod touch, iPad, and Mac. It only works between people running iOS 4 and later, and OS X Mountain Lion and later, so you can't use iMessage to contact people on other phones or on Windows computers, but you can use it to send and receive texts and photos, and share map locations and contacts, with anyone using the latest Apple gear. And since there's no charge for iMessage beyond data (cellular or Wi-Fi), you can send unlimited iMessages pretty much for free. Take that, carriers! 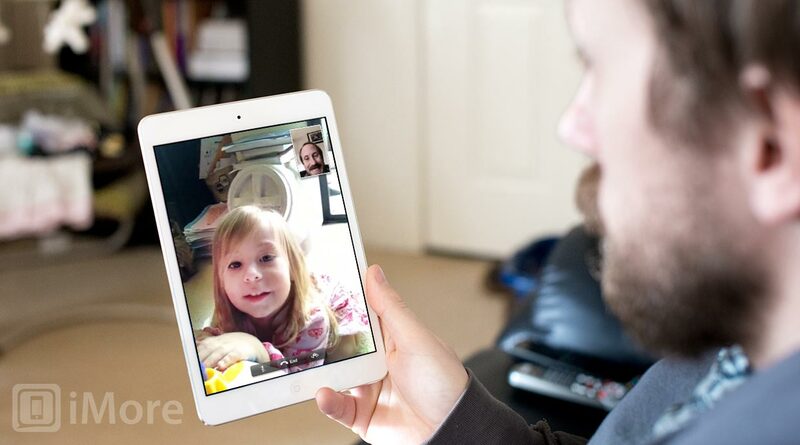 FaceTime is Apple's video chat service. It allows anyone with a recent iPhone, iPod touch, iPad, or Mac to make free calls to any other Apple user over Wi-Fi or cellular connection. On the iPhone, FaceTime is bundled into the Phone app. On the iPod touch, iPad, and Mac, FaceTime is a separate app. On all devices, FaceTime can connect to any Apple-registered iPhone phone number or email address. That makes it perfect for keeping in touch with family who lives far away, with the kids while traveling, with business partners at distant offices, or even with that special someone while shopping for the perfect gift. 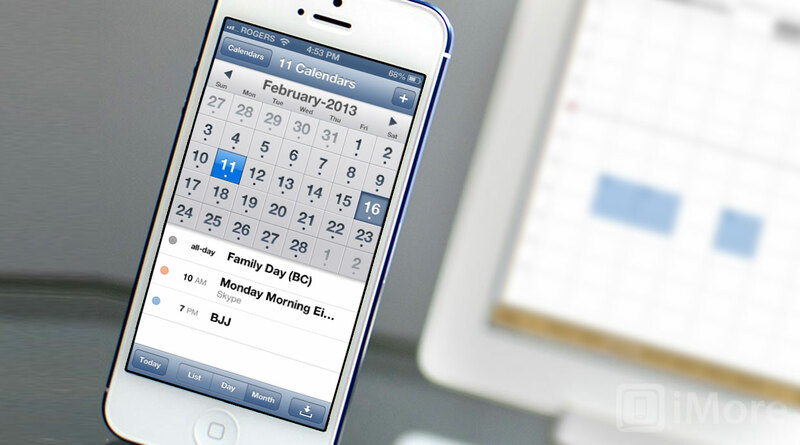 Calendars help you keep track of what you're doing and when, which is why it's always been one of the core apps on mobile devices from the earliest PDA (personal digital assistants), to the latest iPhones and iPads. That why, when iOS launched in 2007, it included a Calendar app. Whether you simply use Calendar by itself, or whether you sync it via iCloud, Google Calendar, Microsoft, or something else, it's the default way to add and find appointments and events. 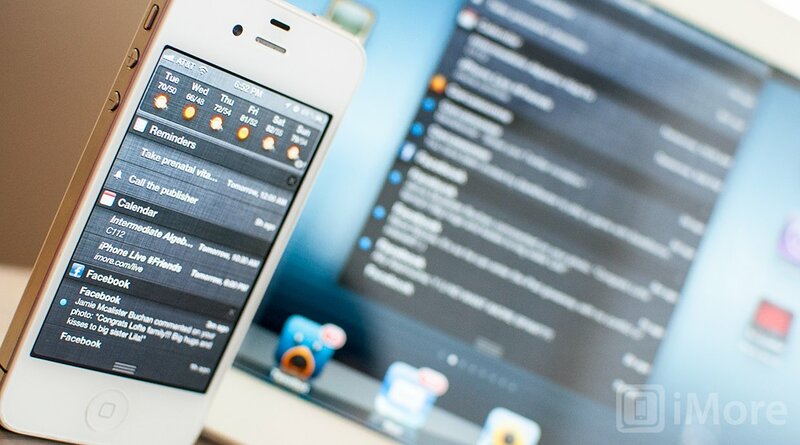 Mail is one of the core apps of the iPhone, iPod touch, and iPad. Rich, HTML email was shown off by Steve Jobs in 2007 when he first introduced the iPhone, and again in 2010 when he introduced the iPad. It was and is so important, he put it in the iPhone and iPad Dock, and by default there it still remains. Whether you use the free iCloud account that comes with your Apple device, or Yahoo!, Google's Gmail, Microsoft's Hotmail, Live, or Outlook.com, your local ISP email or something else entirely, whether you have an IMAP, ActiveSync, or POP account, your iPhone, iPod touch, or iPad can keep you connected to it wherever you go, and whatever you're doing. We're adding new ultimate guides all the time, but we also have a lot of individual help articles on the Home screen, video, Reminders, iTunes, Phone, Safari, music, Jailbreak, and more. And if you have specific questions or need even more help, the iMore forums are there for you!